Pool therapy improves strength. Every move you make in a pool has resistance as you have to move against the water. This helps your kids to become stronger overall. If you’ve ever done any kind of swimming or pool workouts, you probably noticed that it really helped your endurance. Like increased strength, increased endurance will carry over into all your other activities. A lot of the kids we work with here struggle with balance and coordination. 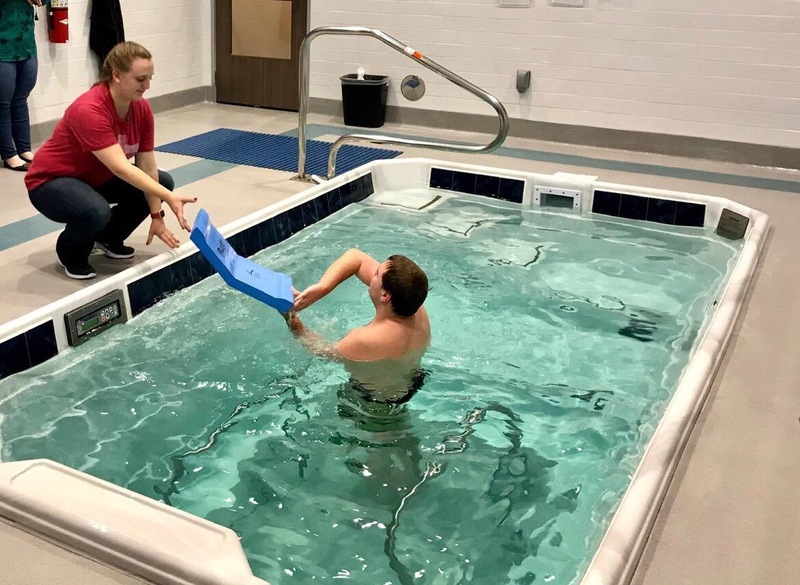 Our therapists can use pool therapy to really improve your child’s balance, and this helps them in many other areas such as walking and running. Those are the three main functional goals that we target in our pool therapy. It has many other benefits too, like helping to improve range of motion, coordination, posture, and flexibility. Another big benefit of pool therapy is pain reduction. This is great for kids in physical therapy! If you think aquatic therapy could be right for your kiddo, ask about it at the front desk! We’d also be happy to give you a tour of our pool area and go over a specific plan for pool therapy that would be just right for your kiddo!